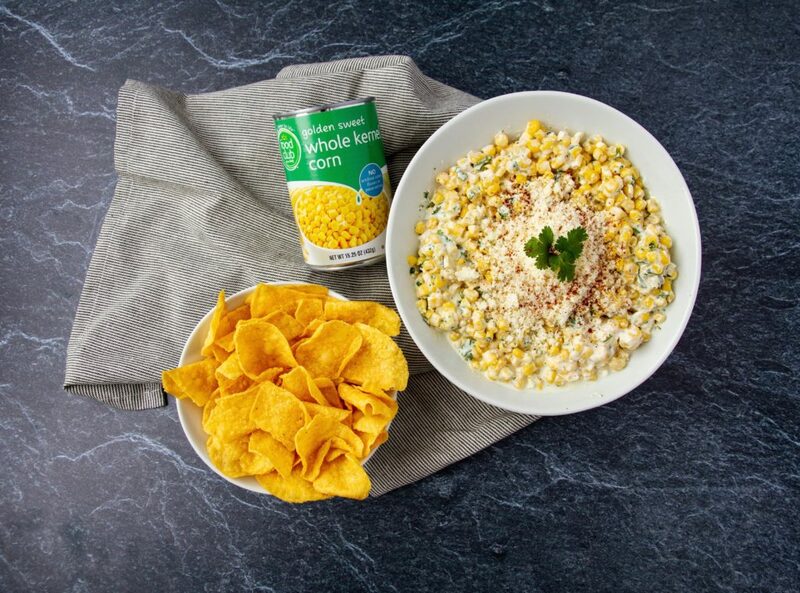 Dip into this creamy and incredibly quick corn dip. This is perfect for any occasion and you are very likely to have all of these ingredients on hand and ready to go. To stock up on these great ingredients, visit our weekly ad. In a large bowl,, mix corn, jalapeno, mayonnaise, cilantro, and lime juice. Top with cotija and chili powder and enjoy! 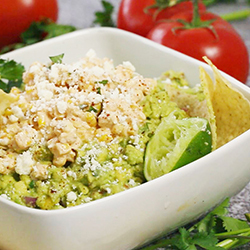 What do you get when you combine street corn and guacamole? 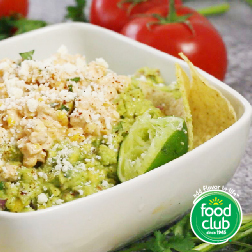 A to-die-for chip dip that will keep everyone dipping. In a large bowl, combine avocados, onion, cloves, tomato, cilantro, salt & pepper and lime juice with a potato masher kitchen tool or something similar. Set aside. 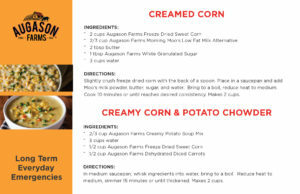 In a medium bowl, mix together corn, sour cream, chili powder, cayenne and cotija cheese. Mix half of corn mixture into avocado mixture. Place in serving bowl. Top with other half of corn mixture. Enjoy! Grilled corn on the cob is a staple side dish for every summertime barbecue. 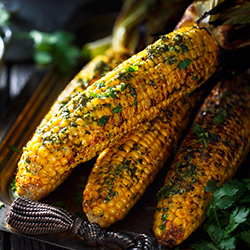 The classic grilled corn smothered in butter, salt and pepper is always a hit but kick up the flavor a notch with these five ways to dress up your corn on the cob. Bacon Cheddar: Spread low fat mayonnaise on warm corn. Roll in grated cheddar cheese and chopped cooked bacon. Mexican Style: Spread low fat mayonnaise on warm corn. Roll in crumbed cotija or feta cheese. Sprinkle with chile powder. Top with fresh lime juice if desired. Garlic Old Bay Butter: Mix together 4 tablespoons butter, softened, 1 small garlic clove, pressed, and 1/4 teaspoon Old Bay seasoning. Spread on corn and sprinkle with additional Old Bay seasoning. Italian Style: Spread pesto on corn and sprinkle with fresh Parmesan. Buffalo Grilled Corn: Top corn with butter and Frank’s Red Hot sauce. Grilling can be an intimidating cooking method to approach. To ease into it, here are some simple recipes that are perfect for aspiring grill masters. Grilling pineapple is as simple as purchasing spears of pineapple and grilling them on medium-high heat until you see char marks (5-10 minutes) on each side. To enhance the flavor, try sprinkling the grilled pineapple with steak seasoning. Ribs are a grilling classic and can be easy to prepare. Dry and remove the membrane from the full rack of ribs. Season with your favorite spices and refrigerate overnight. When ready, heat your grill to medium-high heat and wrap your rib rack in tin foil. Grill for 25 minutes, flip, and grill for an additional 25 minutes. Remove the tin foil and grill bone-side up for 3 minutes. 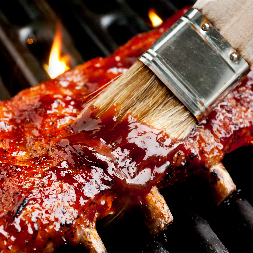 Remove from grill and glaze with your favorite BBQ sauce. 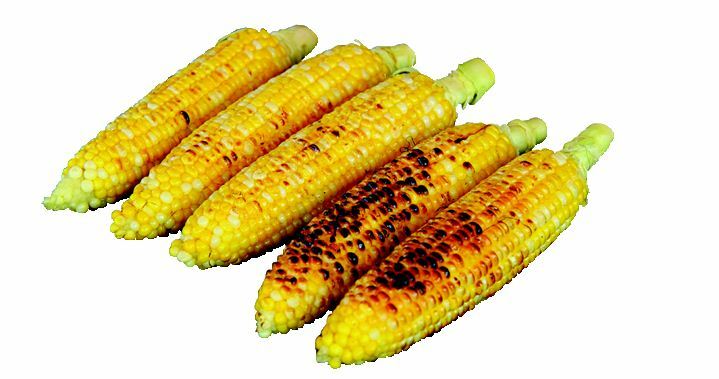 Add a smokey flavor to your corn by grilling it! Remove the silk and husks (except for the inner-most husk). Heat the grill to medium-high heat and brush with canola oil. Place the corn on the grill for 10-15 minutes and rotate occasionally. The holiday season is among us which means fun gatherings with family and friends. 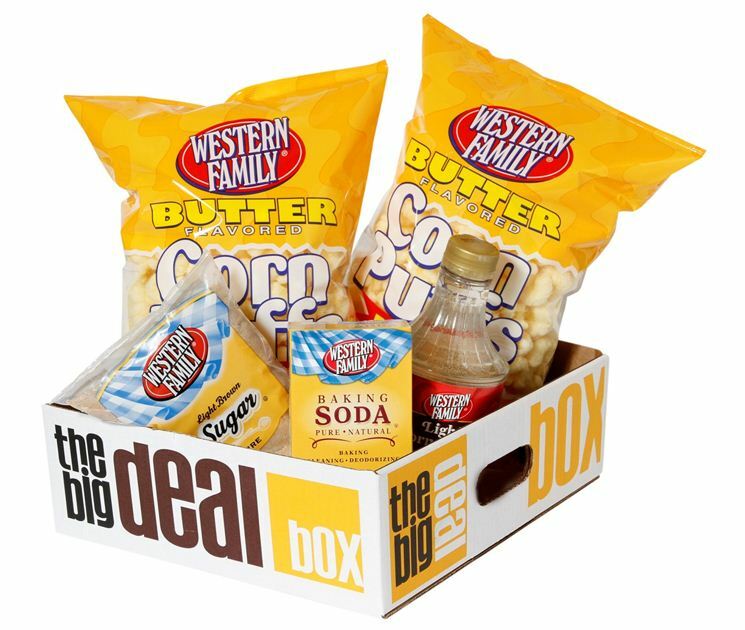 You never want to show up empty handed so we put together our Caramel Corn Puff Box to make your life a little easier. 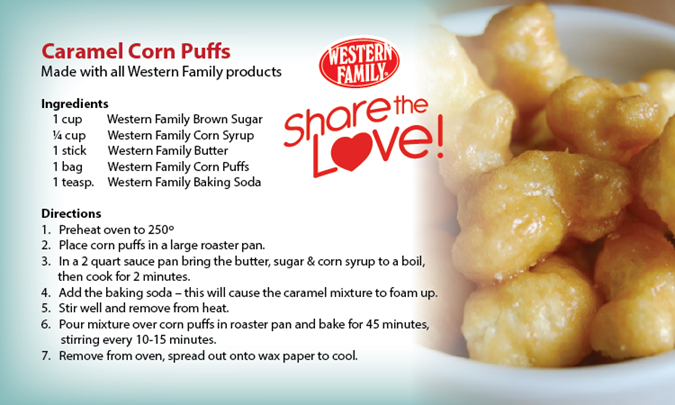 Grab a box today and a stick of butter to whip up a batch today (see recipe below). 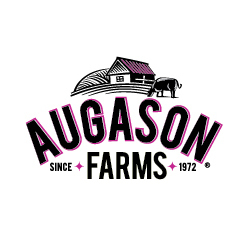 Your family and friends will not be disappointed with the delicious treat you bring to share. All the following items are included for the amazing price of $7. Western Family Brown Sugar 2 lb. Grab a box today at any Associated Food Store. Happy Memorial Day! It’s a weekend of celebrations. School is almost over, It’s the start of summer activities and fun at the pool. Here are some tasty ideas for your Memorial Day get togethers. 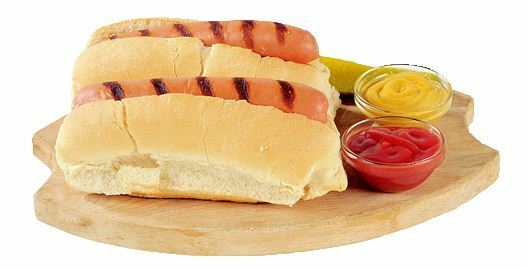 Hot Diggity Dogs – Build your own hot dog station! 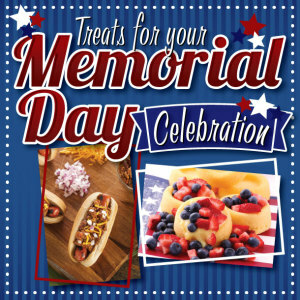 Every guest at your Memorial Day Celebration will have different ideas toppings on their hot dogs. Put different toppings into containers and let everyone add their favorite toppings. You can create signs and recipe ideas to place on the table and next to the ingredients. 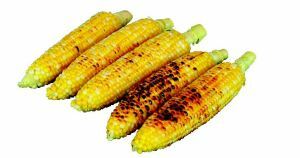 Grilled Corn on the Cob – Serves 6 Corn is always a big hit with everyone and grilling it is a fun way to add some flavor. Directions – Mix all spices together in a bowl. 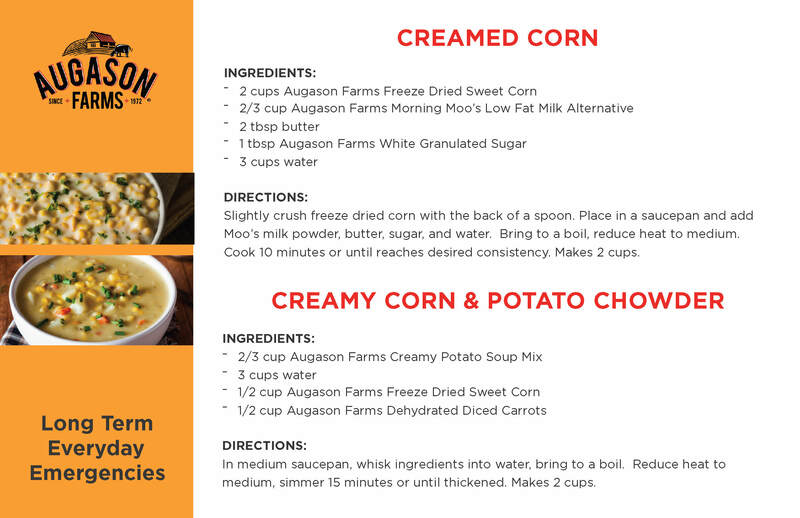 Take 1 tablespoon of butter for each corn and rub the corn with butter. Take 1 spoonful of the spices and pour into your hands. Rub the corn with the spices until covered. Wrap the corn in the foil and grill for 15 minutes turning often. Berry Shortcakes – Serves 8. A refreshing dessert with homemade biscuits and your favorite berries. Directions – Preheat your oven to 425. Biscuits – Mix flour, sugar, baking powder and orange zest in a bowl. Add the cream cheese cubes and mash into mix until it is coarse crumbs. Pour into the mix the milk and mix dough into a ball. Divide dough into 8 balls. Place dough balls on greased baking sheet 3 inches apart. With a glass that has a flat base flatten the dough balls until ½ inch thick. Brush tops with a little bit of milk and sugar. Bake for 12 to 15 minutes. Berries and filling – Rinse strawberries and blueberries. Cut tops and core the middle of strawberries. Take 1/3 of the strawberries and mash them with a fork. Mix in 1/3 cup of sugar and 1 cup of blueberries and set aside. Whip the 1 cup of whipping cream with mixer and add the vanilla and 1 tablespoon sugar. Cover and Chill for 30 minutes. Let the biscuits cool. Cut them in half and place a spoonful of the berry mixture on the bottom half of the biscuit and then top the berries with a spoonful of the whipping cream. 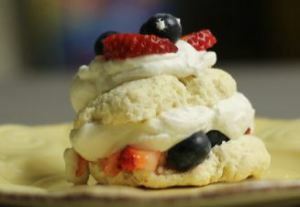 Cover with the biscuit and then top with another spoonful of whipped cream and few of the berries that we set aside. Either serve immediately or put in the fridge until ready.